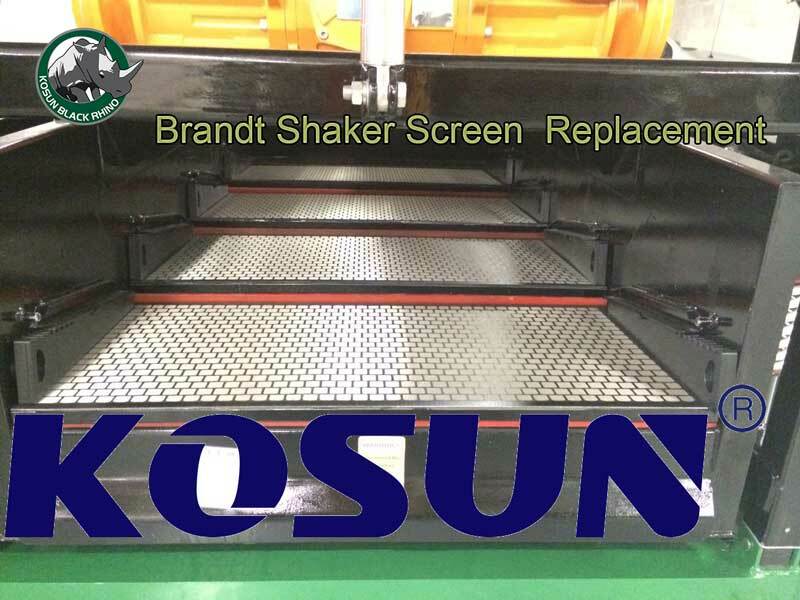 Shaker screen by 24 years manufacturer – Kosun are for sale now.KOSUN products includes Shaker screen,shale shaker,decanter centrifuge,desander,desilter,vacuum degasser,sand pump,agitator and mud tank,and horizontal decanter centrifuge and disc centrifuge. How to Revert API to Micron for Shaker Screens? Many clients asked us that how to revert API to micron of separation point/cut point or mesh for shaker screen mesh，even many of shaker screens manufacturers do not know this well. Some manufacturers use the API number as mesh directly, this is incorrect, if clients do not have professional knowledge, they will use the wrong mesh screens and can not get the ideal result. Shaker screen API is another mean indicating screen mesh size but more standard and compatible. Here we will introduce how to revert API to micron for shaker screens. This is a chart to show how to convert mesh to microns, to know how to convert microns (D100 separation), then to know how to convert mesh to API, or API to mesh. According to above information we find that mesh size or designation from different suppliers will indicate various separation point or D100 cut point then come to certain API size according to latest API RP13C. Some convert chart for separation point and API size are based on D50 or D84. Those are former version API standard on screen designation. Now almost shaker screens are in compliance with API RP13C. 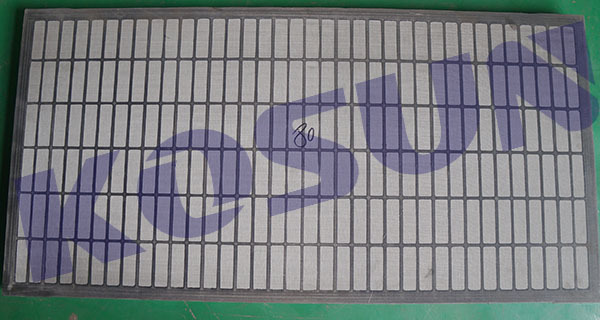 Shale Shaker Screen api Size 60 mesh: 60 mesh, 250 Micron, 0.25 API range , 0.0098 Inches. 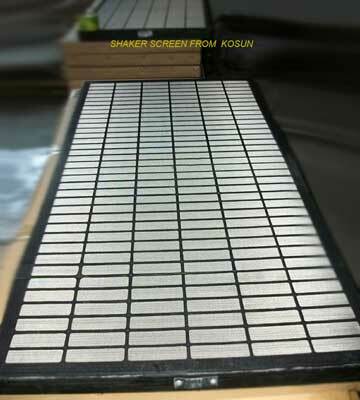 In an effort to better describe multilayered shaker screens, API issued API RP13. API is used to identify the largest solid that would pass through each screen (or the smallest solid captured by the screen); this is called D100. Solids smaller than D100 will pass though a D100 screen. Each screen manufacturer have its own D100 count (screen openings microns), but the micro court should among the same scope related a a certain API count. For example: D100: 137.5 ~165.0 equaled to API 100. 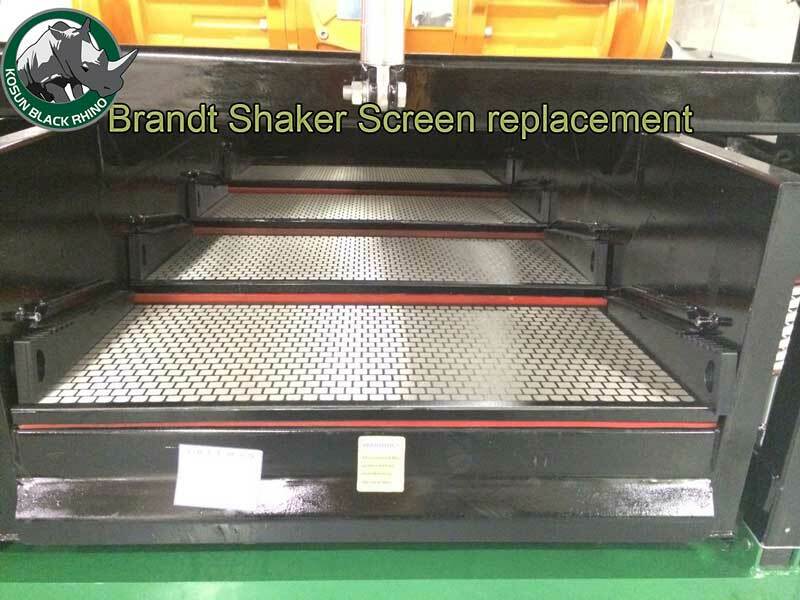 Shaker screen is the most important parts for shale shaker. 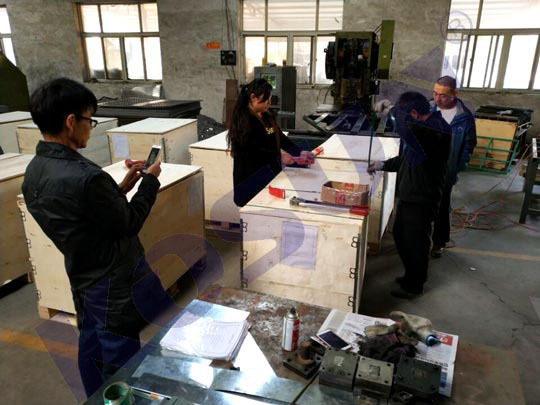 Suitable screen size and reliable screen quality can greatly reduce drilling cost. And good design shale shaker can prolong lifetime of shaker screen. Definition of mesh size:Mesh count is the number of opening per inch in directions perpendicular to each other and parallel to the screen wires. 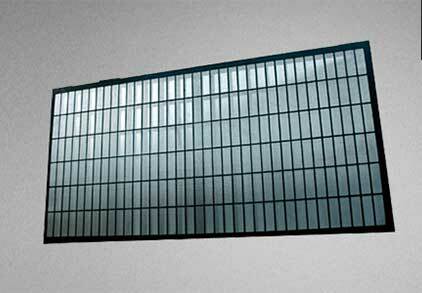 For example, a 40-mesh screen would have 40 openings per inch in one direction and 40 openings per inch in a perpendicular direction. In an effort to eliminate calling the screen a “40 by 40” screen, the common terminology resulted in calling the screen a 40-mesh. During the 1960’s, the throughput volume was increase by making rectangular openings. If the mesh count was 20 opeings in one direction and 40 openings in a perpendicular direction, the screen would be labeled a 20×40 mesh. The marketing ploy, however, was to label the screen with a letter and then the number 60. This implied to many that the screen was a 60-mesh screen. Although this was not stated explicitly. Rig crews were happy because the “fine-mesh” screens could handle more flow than a normal square-mesh screen. After rectangular screens became common, shale shaker throughtput was increased again. by mounting one screen on top of another screen instead of using only a single layer, see figure. Shale Shaker screen Supplier and Manufacturer are all over the world. In USA, Canada, Germany, United Kingdom,China, Russia, Kazakstan, Brazil, Middle East, etc. The very famous ones are Derrick Equipment Corporation, NOV Brandt, M-I SWACO, CSI, etc. Almost the famous brand solids control manufacturer produce shaker screens as well. They will supply screens as internal consumption for their own shaker and also replacement screen for other brand shaker. Different Shaker screen Supplier and Manufacturer will always have different technique and design on screen panels. And the capability is various as well. 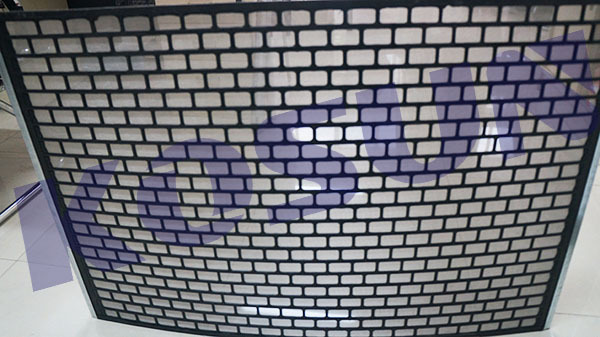 KOSUN is a professional manufacturer even over 25 years.As shaker screen manufacturer in China, we know much better on how to enhance screen performance or efficiency. No matter what type of shaker screen you need, you will get the high quality items at very reasonable price. Shale shakers are the first line of defense for a properly designed solids control system. Shakers have been used on drilling rigs since the 1940’s and are a significant part of the drilling process. Shale shakers work by removing solids from drilling fluid as the mud passes over the surface of a vibrating screen. The liquid portion of the mud and solids pass through the screen while larger solids fall off the back end and are thus discarded. Drilling fluids are a key aspect of the drilling process and often lubricate & cool the drill bit and take drilled cuttings from the borehole. Shakers still remain the backbone of any solids control system. As time has progressed, so have these technologies; more advanced and efficient designs have been cultivated including screen technology. For more than 25 years, KOSUN has manufactured effective solids control and waste management equipment. KOSUN’s driving principal is to provide quality, dependable equipment. 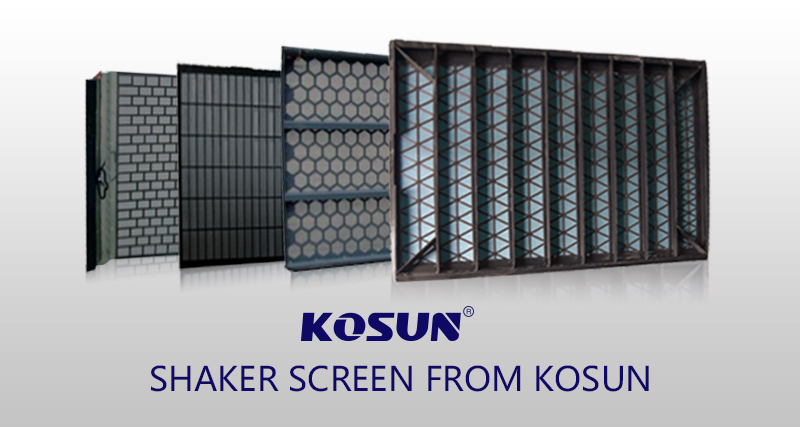 KOSUN is an original equipment manufacturer (OEM) of shaker screens focused on today’s drilling contractor needs. Cleaner mud, increased productivity and screen life are key to any drilling operation. Our professional staff and state-of-the-art equipment allow us to have the capability to design and manufacture a wide range of new items according to the buyer’s requirements.Our ability to provide buyer labels and design services for our clients make us an attractive choice. 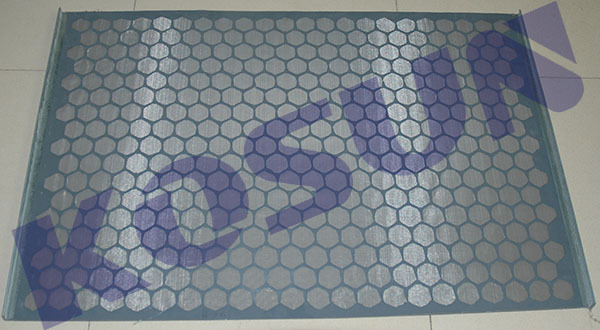 The Shale Shaker Screen is a mesh screen that is created out of woven metal that goes inside the shale shaker. Whenever solids or cuttings are produced from drilling equipment, they are coated in drilling liquid. When those cuttings are shaken over shale shaker screens, the screen is able to capture all of the solid particles and allow any excess mud to drip through the screen where it can then be deposited back into the tank. Shale shaker screen is fine mesh (single, dual or triple layered) used for filtering and separating drilling cuttings from mud (drilling fluid). 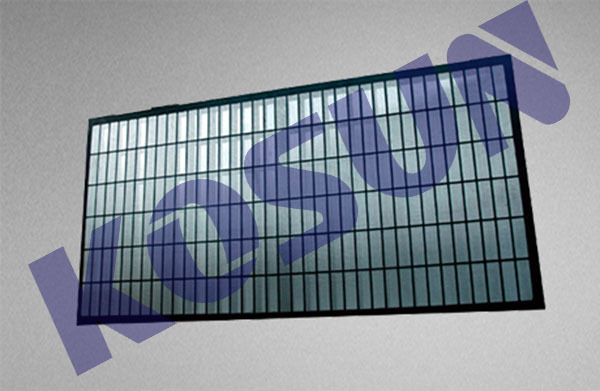 It is of great importance to drilling efficiency, KOSUN is committed to designing the high quality screening to provide our clients the right screen for the perfect fit at competitive price. -Right screen, Perfect fit, Competitive price. -Exported to over 35 countries and regions. -Free screen samples are available for testing purpose. There are many different types of shale shaker screens available on the market today, each with different types of weaving to create the screen and different sizes of mesh. Ultimately choosing the best screen comes down to choosing the finest mesh you possibly can that doesn’t result in drilling liquid being lost from the front of the shaker screen that match the type of shaker equipment you are using. 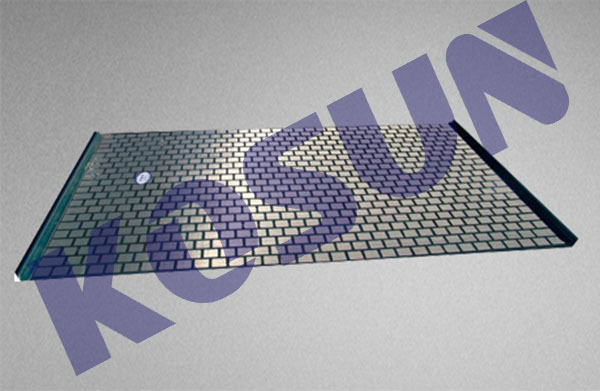 If you are looking for replacement shale shaker screens for your drilling equipment, you may want to consider KOSUN. All of the shale shaker screens that we offer are high quality but extremely affordable. With a wide range of mesh designs and customizable screen options available, we can provide the perfect screen for your equipment at a price you can afford. 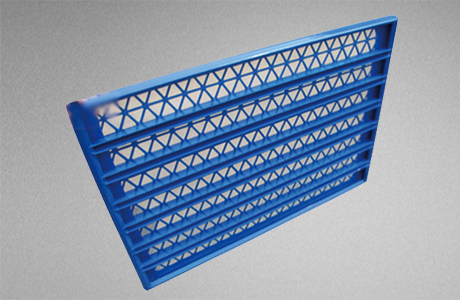 Shaker screen plays a very important role in the initial stage of the solid control system. If the shaker screen is correct, then you can be assured that the process is on the right track. With the continuous development of innovation, the further development of technology, human found a new discovery, improved the previous existence. Likewise, the shale shaker screen has undergone modification, improvement and witnessing the new presentation. There are many types of shaker screens on the market. This is the old Derrick shaker screen model. And pyramid shaking screen is cheaper. This is an improved version of the flat screen. Has a higher drilling fluid handling capacity than the flat screen more effective. This is the early use of the vibrating screen. Has been surpassed by the newer models. The Hookstrip flat screen has a vibrating screen for easy sorting, screening and screening. It is usually used by the driller. Layer 2 to 3 layers of hooks and layered screens used in plastic enhancements enhance screen saver. This screen is commonly used in the industry. It is made of 2 to 3 layers of stainless steel, tightly tied to the frame, to make it strong. Rubber stoppers can be used to repair gaps or breaks. This makes the screen cost-effective. The composite screen is an improved version of the steel frame. The vibrating screen is lighter and more durable and can withstand high temperatures.